The Sri Lankan navy on Tuesday evening apprehended 43 fishermen who ventured into the sea from Nagapattinam in Tamil Nadu and Karaikal in the Union territory of Puducherry. The navy also detained their five boats, according to fishermen sources. 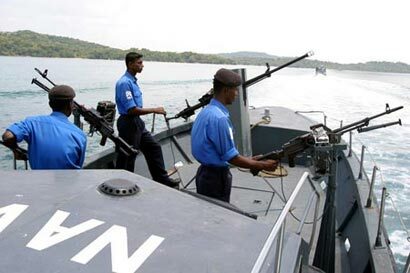 Fishermen sources in Rameswaram received information that the fishermen were apprehended by the Sri Lankan navy near Neduntheevu in the Palk Bay and were being taken to Kangesanthurai naval base in Sri Lanka. Among the detained, 28 fishermen on three boats hailed from Karaikal while 15 fishermen on two boats were from Nagapattinam area, said U Arulanandam of Alliance for Release of Innocent Fishermen at Pamban. “It appears that they were apprehended in the evening and being taken to Sri Lanka by their navy. We may get to know the details by Wednesday morning”, he said. At present, 38 fishermen from Rameswaram, Nagapattinam and Jegathapattinam are lodged in Sri Lankan jails and 82 boats are in the custody of the authorities there. With the latest episode, the count of fishermen and boats in Sri Lankan custody has gone up to 81 and 87 respectively, Times of India reported.